Boston Dental Centre opened in October 2006 operating as a five surgery Dental Clinic. The clinic immediately saw an influx of NHS patients and in July 2007 we successfully gained an additional contract from Lincolnshire Primary Care Trust to increase our patient capacity and add a further 3 surgeries. We have today 9 dental surgery treatment rooms. There are 20 parking places and Boston Dental Centre has dedicated Bus Station. We currently look after in excess of 53,000 patients and it is always increasing. 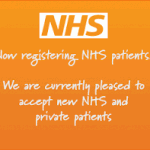 During the past 8 years we are always welcoming new NHS and Private Patients to our practice. All surgeries feature the highest quality equipment, Such as Schick Digital X-ray and Belmont Dental Chairs. Boston Dental Centre prides ourselves on offering our patients the highest quality of Care. 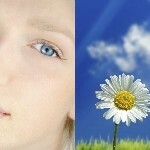 We pride ourselves on provided the best to our patients and we hiring high quality Dentists and Nurses. We are running with Dental Best Practices, We care about Care Quality Commission. We also have been inspected by CQC and passed with flying colours.